Kelly created MalibuLove.org in November 2018 right after the Woolsey Fires hit the Malibu community. She is a web designer who grew up in Malibu, so she wanted to help in the best way she knew how. It started as an online resource for the community, and with help from others it has grown into a place where families can share their stories and connect. Shayna: A local school director and tireless volunteer has dedicated her time helping wherever necessary from inputing of family bios to promoting the site. "Knowing so many families who have lost their homes I wanted to give back to the community I love so much." Tahia: A local Malibu wife and mother of two. 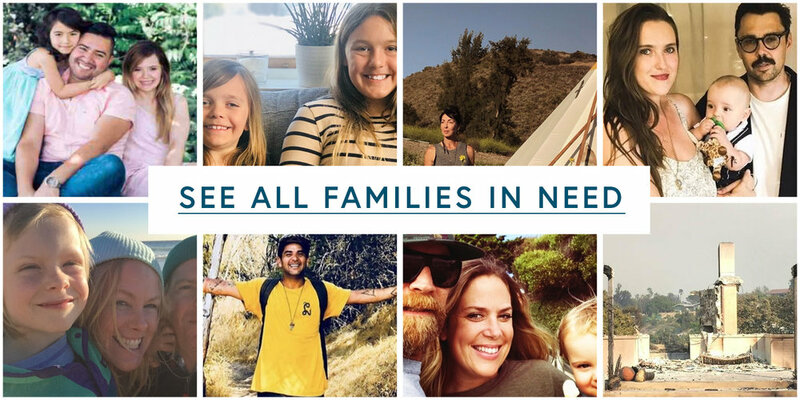 "I reached out to Kelly after visiting Malibulove.org to ask if we could team up and use her site as a place to connect families in need directly with families who want to give. I wanted a unified space where families could upload their stories, go fund me links, registries and connect directly. You can simply visit a family's bio click on their registry link and send them something off their registry! It's so easy. It has been amazing to watch as it has organically been shared over social media, emails and posts. We hope it will continue to be a source where families can connect and lives can be restored . Our next focus will be to get more eyes on the site and more families who want to give. So much has been lost." Want to CONTACT US? FILL OUT THE FORM BELOW!